Day 2 for the world watercolor month challange. 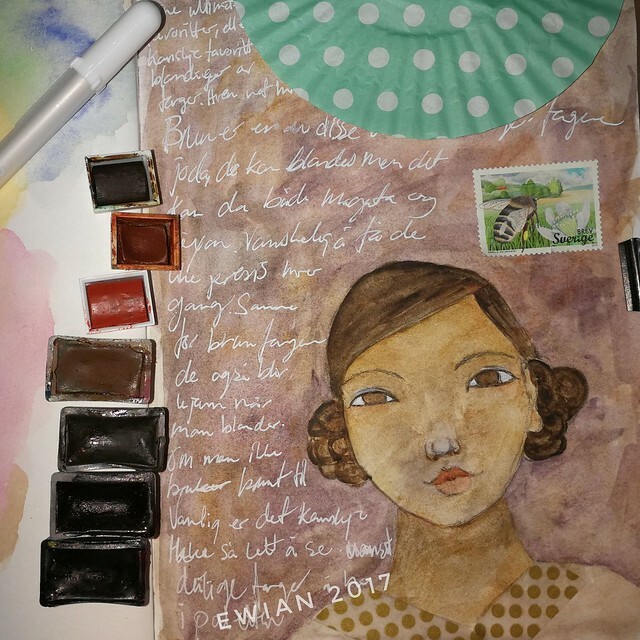 These supplies, paint and paper I swapped with the lovely ihanna so much fun playing around with the colour brown. My favortite colour. This illustration is a girl maybe from Sweden as the stamp suggest.